PayPal has updated its iOS app to let you link loyalty cards from a list of supported merchants (as first spotted by 9to5 Mac). This means you can now carry virtual versions around instead of having to stuff multiple cards into your wallet. The update has not rolled out to PayPal’s Android app yet, but it appears to be only a matter of time. 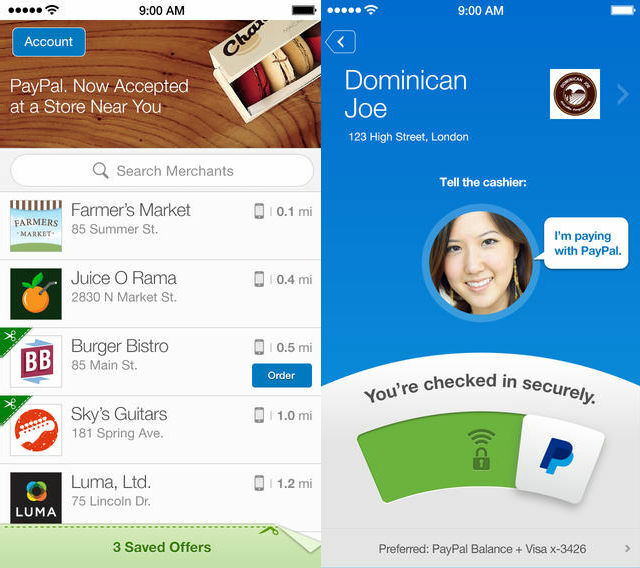 Adding support for loyalty cards looks to be PayPal’s way of making its mobile app even more useful and helping customers stick to one app for payment-related matters at merchants, instead of scrambling to access loyalty cards in another app. It also brings it on par with Apple’s very own Passbook app, which helps to keep things like boarding passes, movie tickets and gift cards in one place after you scan them in.